Are You Looking For Reliable Lawn Mowing Services? We provide professional lawn mowing for lawns of all sizes. Do you own a high visibility commercial property, a large residential estate? Do you manage a townhome, condo, or homeowner association? The appearance of your property is probably very important to you. If this describes you then you want the highest quality and professional lawn cutting and maintenance possible. For many homeowners or commercial property owners with a large lawn and high visibility grassy areas, the time required to mow and maintain it is just too much. For others they are just tired of the poor quality mowing job their current provider is doing and they are looking for a change. We’d be happy to take the hassle of mowing and maintaining your large high visibility lawn off your hands! When we mow your lawn we’re not using a regular lawn mower like you’d buy at the local home depot. We’re mowing our clients properties with expensive, professional grade equipment that ensures a perfect and consistent cut each and every time. A high quality professional cut. Trimming around the lawn and garden edges. Blowing out garden beds and hard surfaces of any grass clippings. Bagging and disposal of all grass clippings (we can leave it on the lawn if you like). A final visual inspection of your property. We’ve mowed thousands of yards throughout the St. Louis metro area over and we’ve streamlined our processes to cause minimal hassle or inconvenience for the property owner. We can custom tailor your lawn mowing and maintenance package to ensure your estate or commercial property gets the specific attention it needs on a regular basis so it’s always looking it’s best. We show up on the scheduled day(s) (weather permitting) and mow and maintain your lawn as promised. The end result is a well maintained lawn that has a fantastic professionally cut appearance. For most larger sized properties the lawn can usually be completed in anywhere from 1-3 hours using one of our professional grade machines. For much larger commercial properties or those areas that have been neglected for a while the process will take longer. We’ll be able to offer an accurate cost estimate to mow your property after we’ve viewed your property. Why Choose Irreco LLC For Lawn Mowing? We understand that you have many lawn care and lawn mowing contractors to choose from throughout St. Louis. We just want you to know that when you choose to work with Irreco you are partnering with a small, locally owned business that has many years experience keeping St. Louis properties looking their best. 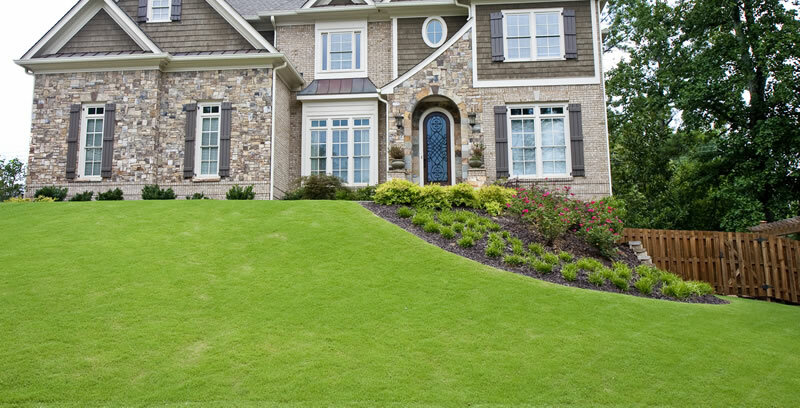 You can expect knowledgeable, reliable lawn mowing services from a company that cares about your properties appearance and our local reputation. We’re more than a couple guys in a pickup truck, we’re a professional team of lawn care specialists who’s only goal is to make your property stand out for all of the right reasons.